How to Set Your Table Like a Designer | Havenly's Blog! With all the holiday gatherings and dinners ahead of us, we figured it would be good to get back to the basics. While a rockin’ holiday centerpiece is on the top of every hostess’ if-only-i-had-more-time list, understanding the basic how to’s of decorating the table could really help you out in the long run. Never fear– table setting and table decorating guides are aplenty these days, some of our favorites being How To Set A Table with Nate Berkus via Elle Decor and How to Set a Pretty Table via Real Simple. Our Director of Design Operations, Shelby Girard has provided us with her tried-and-true designer tips as to how to set the table for all of your dinner party needs! Start with linens – A table cloth or runners can add texture and pattern and provide the backdrop for everything that will come next. Rather than laying the tablecloth straight on top of the table, turn a square tablecloth 45 degrees from the lines of the table to create contrasting angles. Rather than a table runner down the length of your table, lay multiple runners across the smaller width of the table so that the two seats across from each other share a runner. This trick might help encourage conversation across the table and is much more interesting than individual placemats. Layering cloths and runners also helps add texture and contrast. When choosing the fabric, linen always seems appropriate for any season or occasion. 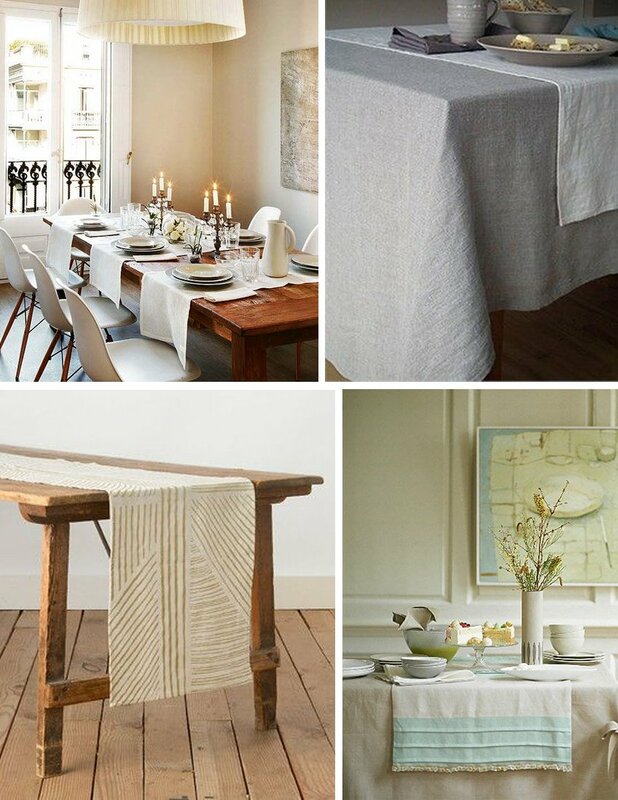 For more inspiration, check out Domaine Home’s Gorgeous Linens Guide! 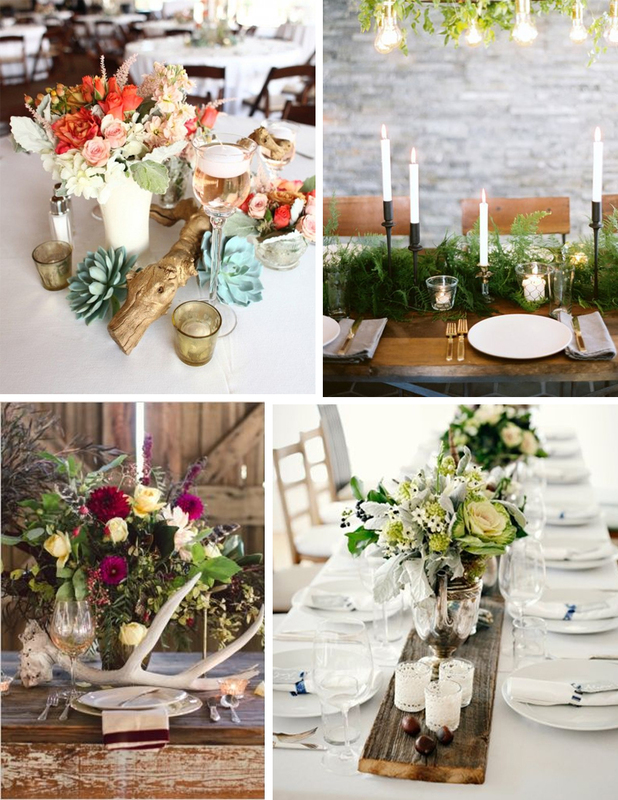 Vases, bowls, urns, candles, and flowers are a great place to start with your centerpiece. Choose elements with a variety of height but nothing too large so as not to impede conversation across the table. Natural elements like driftwood, pine, air plants or succulents contrast nicely with glass, metal and mirrored finishes. Don’t be afraid to extend your centerpiece the span of the table length either – just be sure to leave it low and repeat elements throughout for a cohesive look. The individual place setting doesn’t have to be formal too elaborate. Keep your cabinets stocked with simple staples like white plateware and simple glassware and add interest in accessory items and linens. Napkins are a great opportunity to add color and pattern into your tablescape. 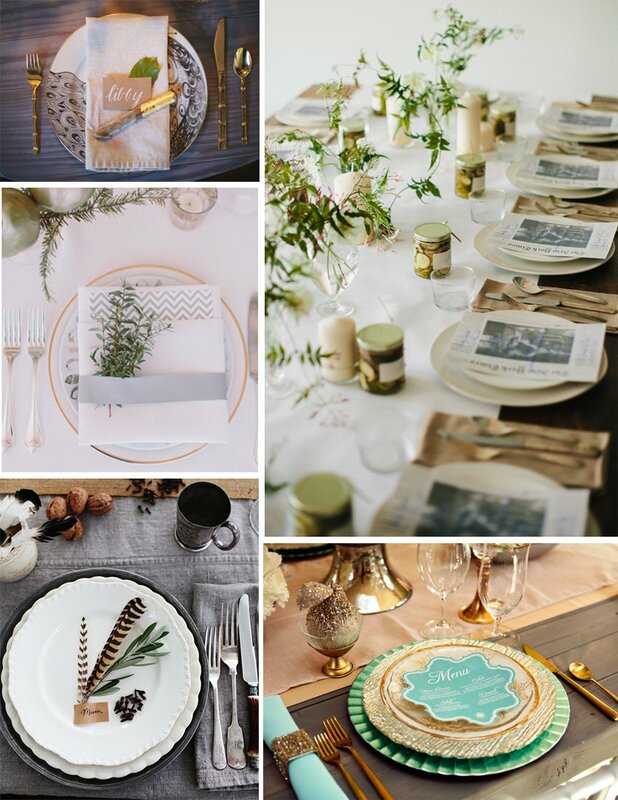 A current trend I’ve been loving is gold and brass toned flatware and glassware which provides a contemporary update to a formal setting and also looks very appropriate around the holidays. IF you are a stickler for the “rules,” you can always refer to Emily Post’s Table Setting Guide (though we think you can live dangerously and break the rules now and again– just do it!). The last, and perhaps most fun, step of decorating your table is accessorizing. Napkin rings, place cards, menus, or small gifts are quick and inexpensive ways to jazz up your table decor in a really personal way. 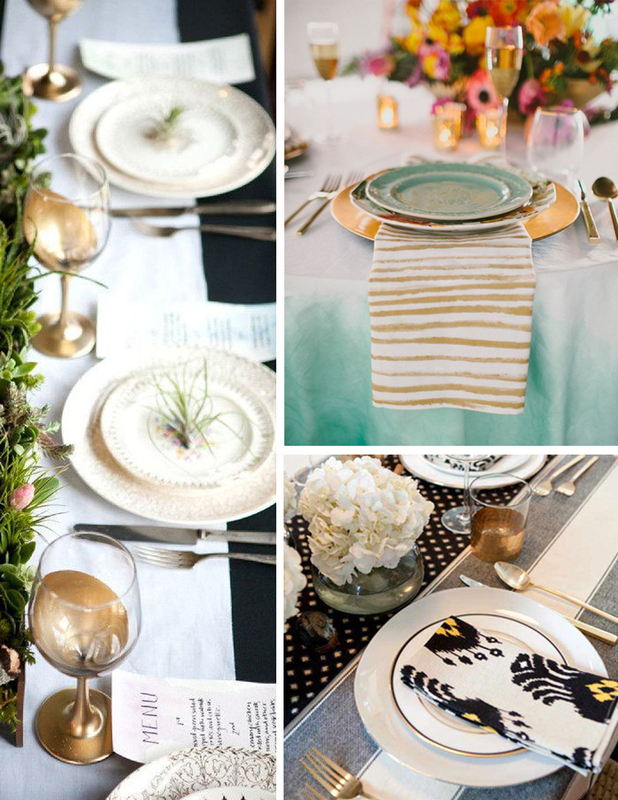 Top plates with season-appropriate nature-inspired decor or tie your napkins with a place card so that there are no awkward “where should i sit” moments when your guests arrive. A small homemade gift adds a lovely touch to each place setting and is always a thoughtful way to thank your guests for coming. How do you plan to set the table this holiday season? Don’t forget to shop our favorite tablescapes.